And brings some online co-op with it! Shootin' time! SNK Playmore and DotEmu recently released a solid port of Metal Slug X on Steam. The enhanced remake (which is itself an enhanced remake of Metal Slug 2) features all the metal and all the slug from the original, plus a ton of handy graphical tweaks as well as online co-op for two players! Metal Slug X continues where Metal Slug left off, just in case you were following the "story". The bad guy has augmented his soldiers with the help of some aliens, and in order to put a stop to all the evil stuff, the protagonists from the original game pick up guns and start running around shooting everything. 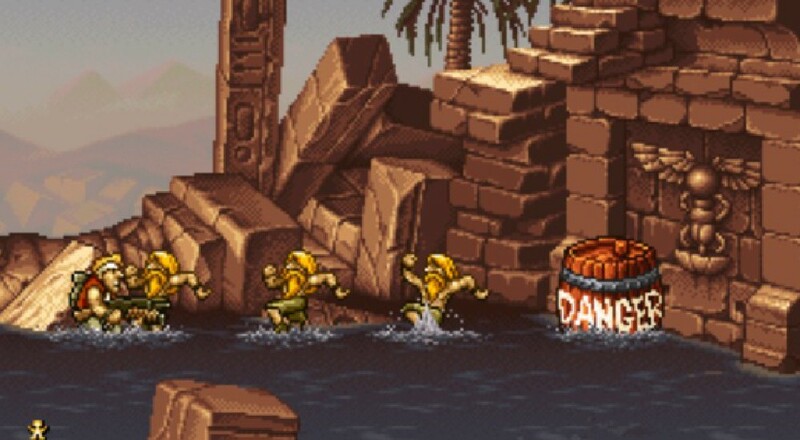 After all, that's what Metal Slug is all about. Not aliens and villains, just moderate to heavy amounts of shooting in a detailed pixel world. The Steam port of Metal Slug X features the main story mission as well as co-op for two players, both local and online. There are a handful of other Steam-related trimmings, too, such as cloud saves and leaderboard support. The core game is very close to the original, something the reworked iOS and Android ports couldn't quite pull off with their greasy touch screens controls. Page created in 0.9872 seconds.